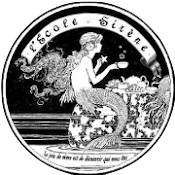 Welcome to the SireniTea Shoppe, our crowdfunding project to create a physical location for Siren School. I'm Joy, Headmistress of Siren School. I'm a veteran entrepreneur with experience in retail and have owned a shop, a tea room and a fine dining restaurant. Based on my previous experience, the 50,000 we're striving to raise will go towards rent, gently used equipment and furnishings... maybe even a little merchandise, though we're prepared to acquire that on consignment if need be. Because we have an existing business and fan base, we have some pretty spiffy perqs to offer -- at least we like them. Depending on the amount raised during our campaign, we will either seek an actual investor to make up the difference, or put the funds toward existing Siren School programs that could use a boost. Eateries are always a risky enterprise, but food service is just the beginning of what we intend to do with our space. We have classes, workshops and special events at the ready that are patiently awaiting a place where they can be offered. We will publicly thank you in writing as part of a donor list included in an upcoming issue of la Vie Sirene magazine. $50 - A-Plundering we go! $100 - You're a Mad Man! $10,000 - With a side of YOU!